Since the invention of the garage door households around the world have taken advantage of the protection and convenience of parking their cars in their garage. Originally homeowners would have to manually open and close the garage doors to get in and out of their garage. 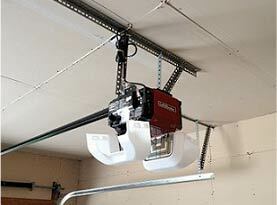 As technology increased the wonderful garage door opener was invented. 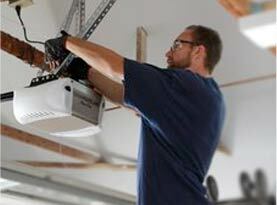 Millions of people across the world use their garage door openers each and every day. 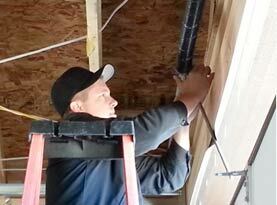 While garage door openers provide a convenience factor they do pose some security risks. You may have heard how security expert Samy Kamkar was able to use an old toy to hack into his own garage door opener. He used his knowledge of security technology and some mathematical algorithms to successfully hack into a garage door opener. He was trying to prove that garage door openers can be dangerous and wanted to make consumers aware that this was a concern. When Samy was able to hack into his garage door opener they were made with a fixed garage code. This fixed code was easy to hack with the right expertise. Since then garage door manufacturers have altered the way that they code your remote to make this kind of hack unlikely. Newer garage doors have a rolling code on them. This means that every time the garage door remote control is used the code changes. If you are not sure if your garage door opener has a rolling code you can contact the manufacturer. If you are purchasing a new garage door opener you will want to make sure that your new garage door opener has this feature on it. Another garage door opener concern that many Americans were concerned about was the introduction of the universal garage door opener remote. The universal garage door opener was originally invented so that homeowners who lost their garage door opener remotes could replace them at a reduced cost. Criminals found a way to use the universal garage door opener remotes to get into many homes. Again, the rolling code made this much harder for criminals. There are a few precautions that you can take to keep home safe from criminals trying to get into your home through your garage door. The first thing that we recommend is disabling the emergency release lever. 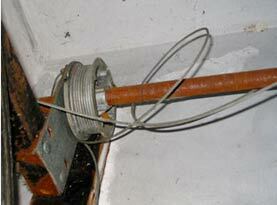 Criminals have been known to use wire coat hangers to break into your garage using the emergency release lever. If you disable it they will not be able to do this. Your emergency release lever is attached to a cord. You can also remove the cord for added security. Locking the release lever is a great idea as well. Some garage door openers let you use a plastic cable tie or thin wire to tie the level to the carriage assembly on your garage door opener. If you cannot do this on your opener you can drill a hole so that you can do this. In addition to do these precautions you should always keep the door from your garage to your home locked. Many people think that leaving this door unlocked is safe because of the garage door opener. If someone is able to get into your garage door they would be able to come into your home if this door is unlocked. You should at least consider locking the deadbolt on that door when you are sleeping or gone for an extended period of time. Here at United Garage Door Service of North Las Vegas we want your home to remain safe and free from criminal activity. If you have more questions about garage door opener security concerns or you are ready to upgrade your garage door opener to one with a rolling code give us a call today!